When staff say we work in Denali “for the summer”, it’s a bit of a half-truth. Over the four months we live and work at Camp Denali & North Face Lodge, we experience the tail-end of one winter and the first snow of the next; in between, we experience an arc of seasons as colorful and unique as the rainbows that so often fall across the Kantishna Valley. When the first staff arrive in early May to pry the plywood off the windows, get the pipes flowing with fresh water, and otherwise make Camp Denali & North Face Lodge ready for another season, there’s often snow on the ground, and Wonder Lake is a plate of cracking ice. Ptarmigan still have most of their white feathers, snowshoe hares are just beginning to turn brown, and the caribou are molting their winter coats. Thus--in our own winter coats--we begin our so-called summer. It’s not enough to say I love the people at Camp Denali & North Face Lodge because they are wonderful. Truly, they are a remarkable bunch: adventuresome, generous, playful, hard-working, sincere and almost suspiciously chipper. A shared curiosity about the world and our own possibilities for moving through it--the same curiosity that has pulled people to Alaska its whole settled history--brought us all here. We live in close proximity, work in close proximity, and do pretty much everything together. We are friends. We are the kind of family you may not have heard of before. 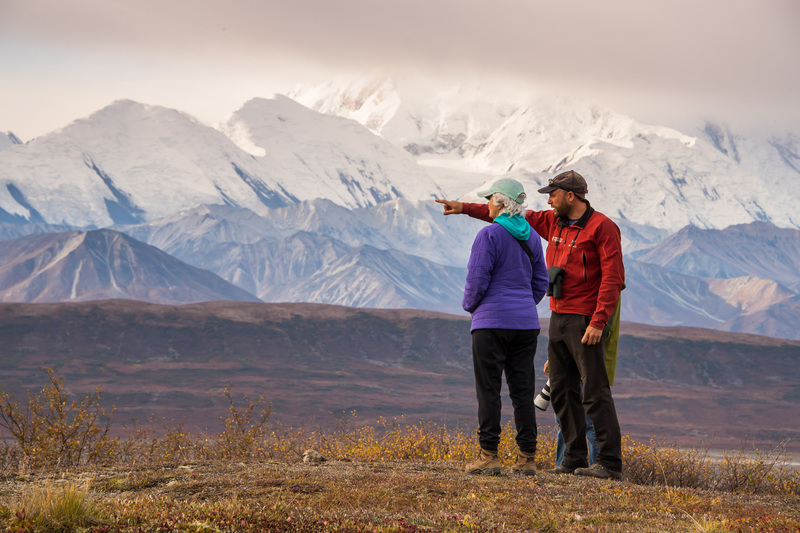 Camp Denali has an uncanny knack for hiring terribly interesting and loving people. 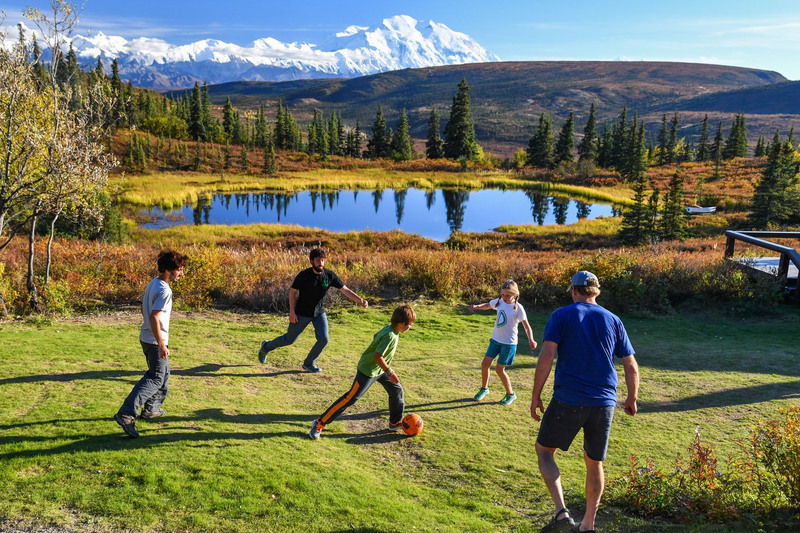 But there’s an instant bond, or at least an instant opportunity for bonding, between every person, staff or guest, who has gone to the trouble and had the good fortune to find their way to Camp Denali, which comes from this simple fact: we’re out here together in the wilderness. And that means we rely on each other for everything. Frankly, and I say this with love, the staff at Camp Denali are a bunch of overachievers. It’s not enough they’ve spent ten hours cooking world-class food for a hundred people, or taking guests on the best hike of their lives, or cleaning the community spaces until they’re sparkling--oh no; now that they’re off work, they’re going to learn to make blueberry jam from berries they picked themselves, or build a shelf for their cabin, or stay up half the night creating an elaborate murder mystery for the annual staff party. When do these people sleep? And why are they so excellent at all the many things they do? Who says you can’t go trick or treating when it’s cold and dark? Or when the closest neighbor is sometimes a mile away? As usual, when you live in the subarctic, you adapt! Our winter office staff had many laughs swapping stories of Halloween’s festivities. Here are a few of the highlights. A gourmet culinary experience is totally unexpected at the end of the 90-mile Denali Park road, and 350 miles away from Anchorage. Our guests are not in pursuit of a unique and memorable eating experience when they book a stay at our lodges, but that is exactly what they get. Over 60 years since our founding, the availability of good ingredients has expanded, as have the expectations of our palates. 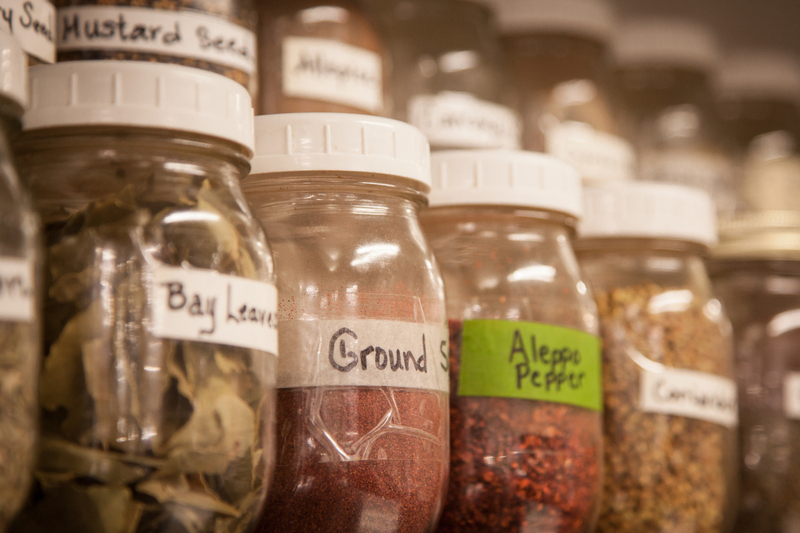 Long gone are the days of freeze-dried green beans and corned beef from a can. Today, the plates of delicious food served up in our kitchens represent the best flavors and ingredients available to us, and our commitment to source from suppliers dedicated to organic and sustainable production. We pride ourselves in making your dining experience a featured part of a stay at Camp Denali and North Face Lodge. Last month, our lodges closed for the 2017 season. They will be tucked away in snow at the foot of the Kantishna Hills until May. It’s an incredible thing to see; within two weeks, we go from a full house to shutters on the windows. After decades of fine-tuning the operation, a small crew manages to wrap up fall projects and batten down the hatches for the winter in less than two weeks. Guests often ask: What is involved in this process? What does it take? How do you do it? You mean nobody watches over the place in the winter? This year we decided to keep a daily log about each day’s accomplishments. The final guests of the season departed today. 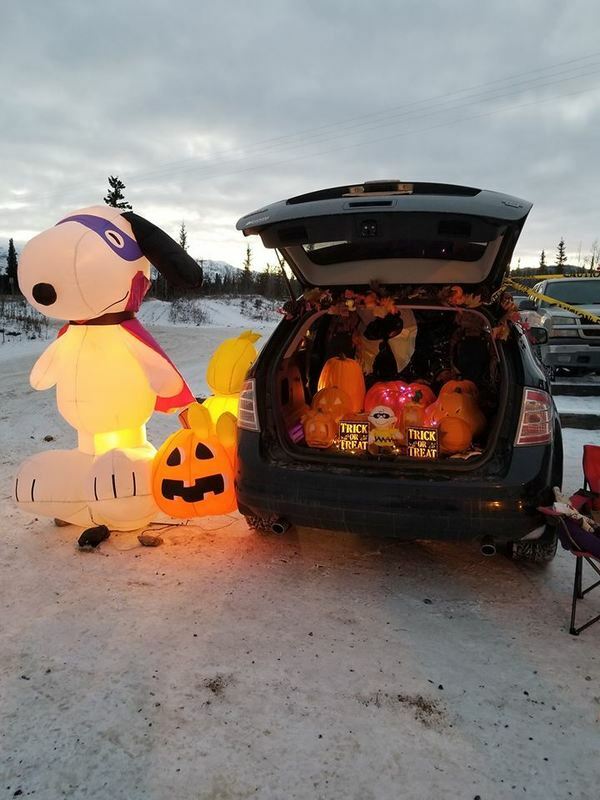 Wheels were down the driveway at 6:45 a.m. as the staff consumed as much coffee as they could before their last 7 a.m. shift. Today was “strip and clean.” All the linens, carpets, duvets, curtains, quilts, wool blankets, and hand towels were gathered from the guest cabins and rooms. Laundry will dictate the pace of closing; the water lines can’t be shut off and drained until the laundry is done. Our four washing machines will be running on the hour every hour for the next several days as each and every item is cleaned one last time and folded on shelves. At 6 p.m. sharp, the staff gathers for our “Thanksgiving” feast to celebrate the year. 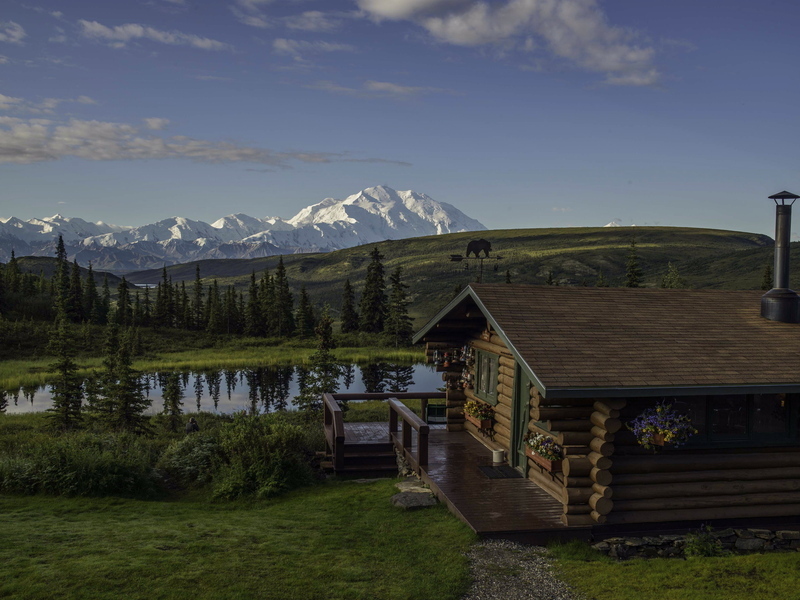 It’s not accurate to say that staff members start the day before sunrise at Camp Denali & North Face Lodge, as the sun doesn’t set for a large portion of the summer. Regardless, there are very few hours of the day when you won’t find someone hard at work, making sure each day provides the highest level of service and hospitality to our guests. By 4 a.m. the lights flick on in the kitchen at Camp Denali announcing the arrival of the day’s baker. Shortly after they are joined by the breakfast cook who will spend the next three hours preparing a nourishing and fresh meal from that day’s menu, be it Alaskan crab quiche or sourdough pancakes with a compote made from blueberries gathered from the surrounding tundra. The host at each lodge has a fire lit before the first coffee-seekers arrive, creating a warm and comfortable atmosphere. By the time staff sit down to their breakfast at 8:30 a.m., several hours of the workday have been completed across most departments: buses are washed and detailed, the dining room has been set and served, and the dishwasher has been running for hours.